Vehicle history and data expert CARTELL.IE report today (July 25th) that the buyer of a new private vehicle in Ireland is now purchasing a vehicle worth more than €30,000 on average for the first time since Cartell.ie started recording these statistics. 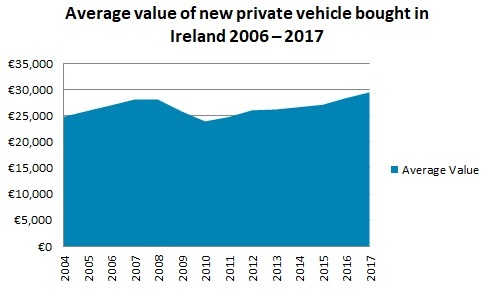 Cartell.ie calculated the total value of new vehicles purchased in Ireland between the years 2006 and 2018 based on the recommended Open Market Selling Price (OMSP) for each vehicle and summing them up. The company divided the total value for each year by the number of new vehicles sold that year to establish the average value per buyer. Unsurprisingly, Cartell.ie found the average value of a new vehicle purchased fluctuated with the fortunes of the economy, so, in 2007 at the height of the boom the average value of a vehicle purchased was €28,106 which dropped to €24,758 in 2011 before increasing steadily every year since then as the economy improved. In 2016 the average value of a new vehicle was already back to boom time levels recording €28,385 while in 2017 the value had ticked up 4% to €29,481. For the first 6 months of 2018 the average value has now hit €30,000 returning a figure of €30,130: the first 6 months of 2017 recorded €29,391 before ending the year on €29,481. This shows the average Irish buyer is now buying a vehicle worth €30,000 for the first time since Cartell.ie started recording these statistics. Adjusted for inflation the figure recorded for average value for the 12 months ending 1st January 2018 (€27,786) is higher than the figure recorded for the average value in 2006 (€26,997) – right in the middle of the boom. 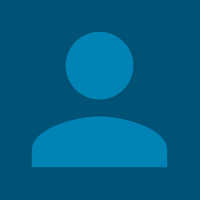 Why has the average value been increasing? Increased consumer demand for hybrid vehicles (where technology is more expensive to implement) could be making an impact, along with changes in buyer habits to more environmentally friendly vehicles, and guided generally by the move to city-clean air policies. The buyer of a new vehicle is getting more features than ever before, more technology, more safety, for example. The buyer has also shown an appetite for other features which manufacturers are increasingly rolling out as standard such as alloy wheels and electric windows. Combined, these features increase manufacturing costs and push average values upwards. The buyer may also be opting for more expensive cars owing to more readily available lines of credit or simply because buyers are keen to buy a larger car when fuel economy and motor taxation figures have dropped so significantly across the board. Buyers have different buying habits: some will enter the market with an open mind and opt for the best available deal within their budget; while others will be keen to opt for the same manufacturer or the same model. While compiling these figures Cartell assessed, for all the years, the Open Market Selling Price for each vehicle purchased, based on the Jato List price. The study deducted public grants and VRT rebates for environmentally friendly vehicles such as Electric Vehicles and Plug-In Hybrid Electric Vehicles (EVs/PHEVs).